CamModelProtection is a platform that provides monitoring services and submits DMCA takedown notices on behalf of models. Piracy is a huge issue in the adult industry, and DMCA is one of the best ways to fight it. Unfortunately, there’s some privacy risks associated with the DMCA process, which is why platforms like CamModelProtection are so valuable. Here’s all the details on the platform. Cam Model Protection is an Anti-Piracy & Privacy Protection service created exclusively for Cam Models to assist you in protecting your brand and identity by monitoring the internet for pirated images, videos and live webcam recordings. A Cam Model’s income can be reduce tremendously if your fans and/or members find your content for free on adult tube sites. Cam Model Protection makes sure that your pirated images, videos and live webcam recordings are removed from image and file hosting services, tube sites and search engines. Plus if you decide to quit or retire from the Cam Modeling Industry do you really want family, friends, ex-partners, current partner, employers, etc. to see you in all your glory for years to come? Cam Model Protection offers three pricing tiers with different levels of monitoring and service. All tiers allow for unlimited takedowns, and the lower-end pricing tiers can be less expensive than it would be manually reporting content for removal. DMCA.com charged $10 per month and $199 per takedown. The Pro plan is less expensive if you’re only submitting one request per month and the Superstar plan is less expensive than manually requesting two takedowns. All plans come with a free trial! Signup For Cam Model Protection Today! Start your free trial today! Protect your identity, content and income. 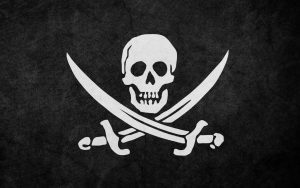 Don’t let pirates steal your content. Protect yourself on tube sites, pirate and torrent sites, social media and more. Cam Model Protection was designed for adult camming models, making it better than any other DMCA solution. Piracy is a major issue in the adult industry. Luckily there’s many ways to fight piracy. Submitting DMCA notices to infringing webmasters is just one weapon at your disposal. There’s other places where DMCA notices can be submitted, and other tactics outside of DMCA that can be used to get content removed and reduce the impact of piracy.